Looking for multiple bedrooms, brand-new finishes and a nice, big backyard? This week’s Knockout Listing, 7 William Street, looks like a million bucks – and the best news is, you won’t need that much to buy it. This lovely, sprawling home is proof it’s worth venturing into Brampton real estate, with all the luxuries of suburb life located just minutes from downtown Brampton. 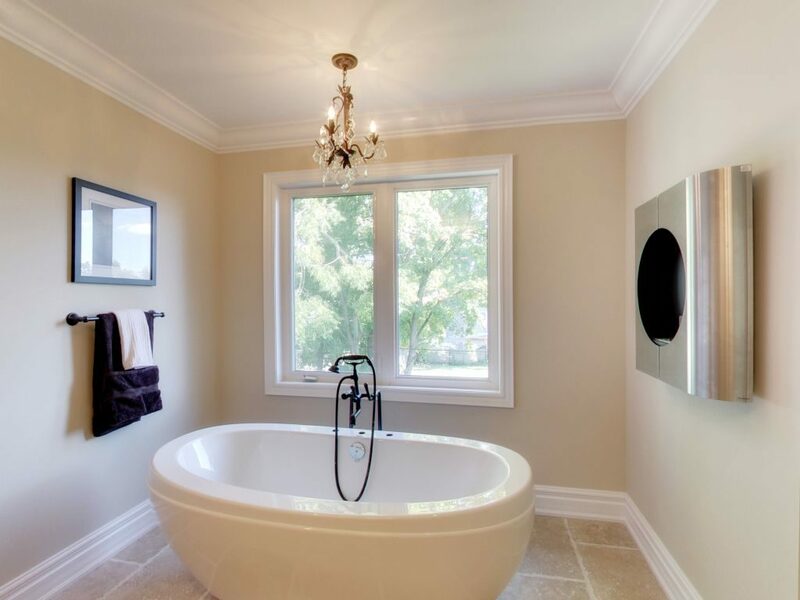 Say “ahhh” in this fully detached tub. Newly renovated from top to bottom, this home boasts a roomy 40 x 100-ft lot, and loads of outdoor space; languish on the sunny, elevated backyard patio, or on the private, walk-out balcony from the master suite. Inside, you’ll find exquisite detailing such as a granite breakfast bar, crown moulding, and hardwood floors. Three beds and three baths offer plenty of room to relax in style, especially in the master digs, complete with large windows, a vaulted ceiling, and five-piece ensuite. Say “ahhh” in this full detached tub. A full basement with separate walkout could also offer a great in-law suite option (if you’re willing to share your castle, that is), and the neighbourhood has lots to offer, with proximity to farmers’ markets, library, parks, and a recreation centre.